El Cid Publishing, 9780998679808, 326pp. People in the resort town of Pine Lake, Wisconsin are skittish when a stranger is found unconscious in the park. His head wounds suggest he was severely beaten and he subsequently slips into a coma.With nothing in his pockets and no one coming forward, his identity remains a mystery.Nurse Julia Parsons is enamored with the comatose patient and takes a special interest in his care. She sit by his bed each evening talking to him in hopes he will wake from his deep sleep. But waking only complicates matters. 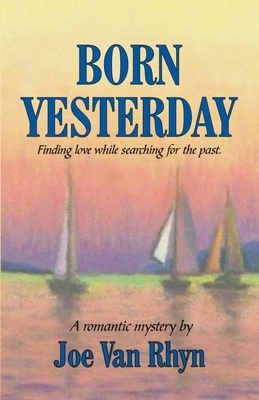 Overlooked clues send the couple on a journey across the state in search of his past.Could this new friend be the love Julia yearns for, or will his previous life take him away forever. After a successful career in Business, Joe took up writing as something to do in retirement. It soon became a passion. He has written many short stories and is in the editing stages of a prequel to "Born Yesterday" called "Battle Born." His second book in this series moves back to 1945 and chronicles Nora Jensen's life beginning with her time as an Army nurse in World War II. In school Joe's love was the theater. He carried the lead in a number of plays, including Prince Charming in "Cinderella," Pish Tosh in "The Mikado," and the villain Cassius Carstairs in "An Old-Fashioned Melodrama." Joe uses his acting experiences to create active scenes, lively dialogue, and memorable characters in his writing. Joe's only regret, he didn't start writing earlier in life.